Washington (D.C.) - Indicating balance due "on ten books sent down for Howard Univ. lecture" as of May 1. 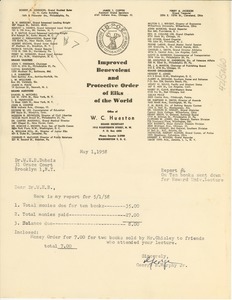 Written on the letterhead of the Improved Benevolent and Protective Order of Elks of the World. Concerning the hiring of a public relations firm for Trans World International(TWI). 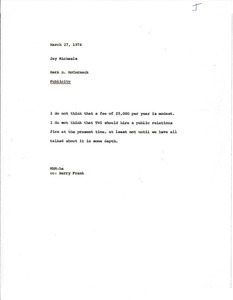 McCormack does not think that hiring such a firm is necessary at this time and indicates that the suggested fee is high. 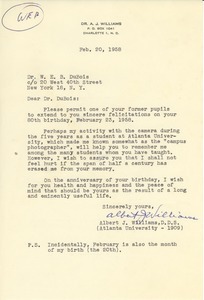 Charlotte (N.C.) - Extending "sincere felicitations" upon his 80th birthday; reminding Du Bois of his "photographer" identity during their days at Atlanta; though assuring him he shall not be offended "if the span of half a century has erased me from your memory." 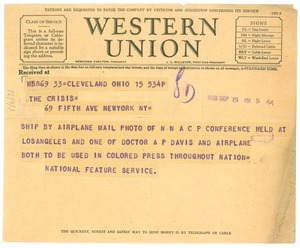 Cleveland (Ohio) - Requesting certain photographs to be used "in Colored Press throughout Nation." Announcement of the 1923 Pan African Congress. 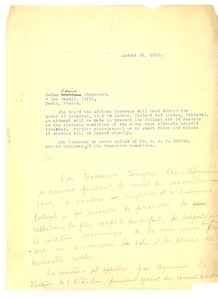 Handwritten copy of letter in French is at the bottom. 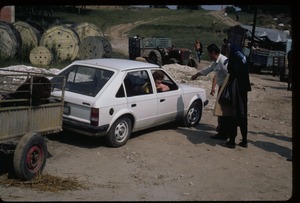 Serbia - Woman in yellow dress (from mufs001-rb-i1407) drives away from Aran?jelovac livestock market in Fiat, trailing sheep behind. Baltimore (Md.) 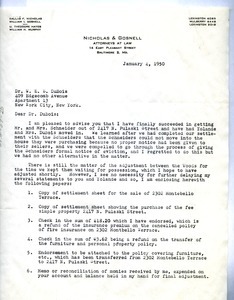 - Noting that Nina and Yolande Du Bois have "finally moved in" to a residence at 2417 N. Pulaski St. and enclosing a series of six formal documents regarding the matter. 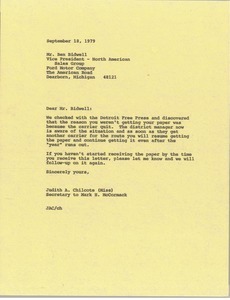 Bidwell has not been getting his paper because the carrier quit. 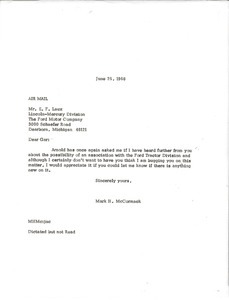 McCormack requesting a follow up on behalf of Arnold Palmer regarding an interest in working with the Ford tractor Division. McCormack indicates that the request has been made before. 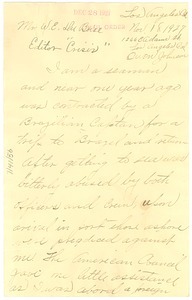 New York (N.Y.) - Concerning Johnson's experiences as a sailor with the people of Brazil.